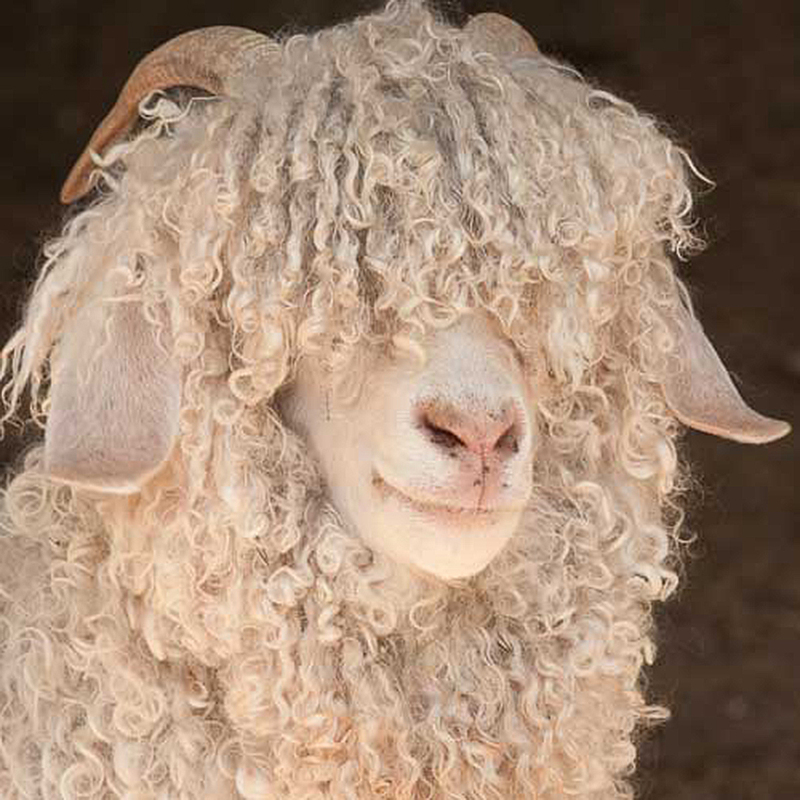 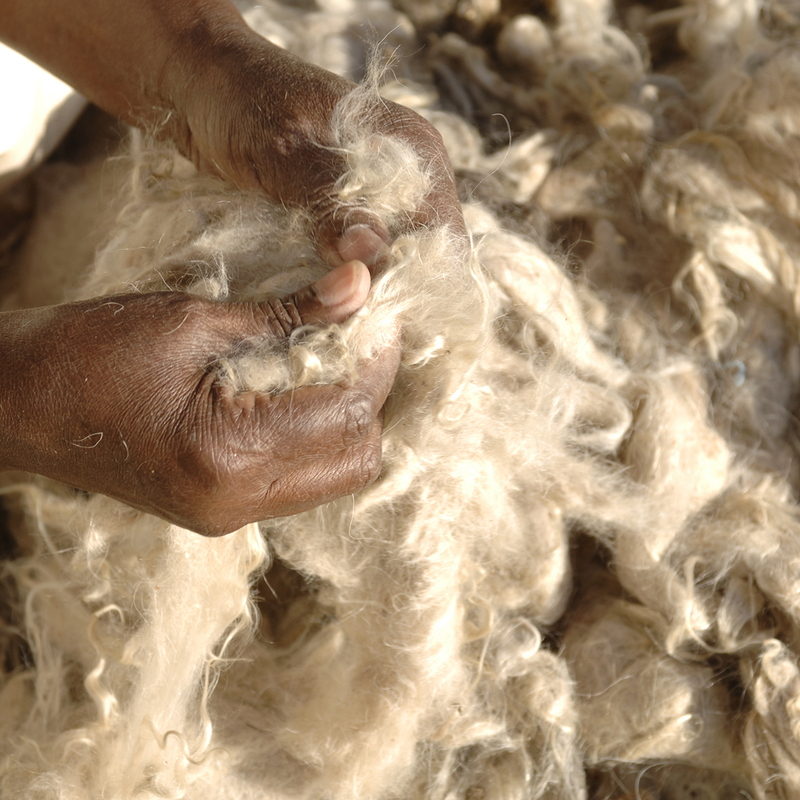 Tapestries from the Stephens studio are made primarily of mohair, a tough luxurious fibre produced by angora goats farmed in the Eastern Cape as well as neighbouring Lesotho. 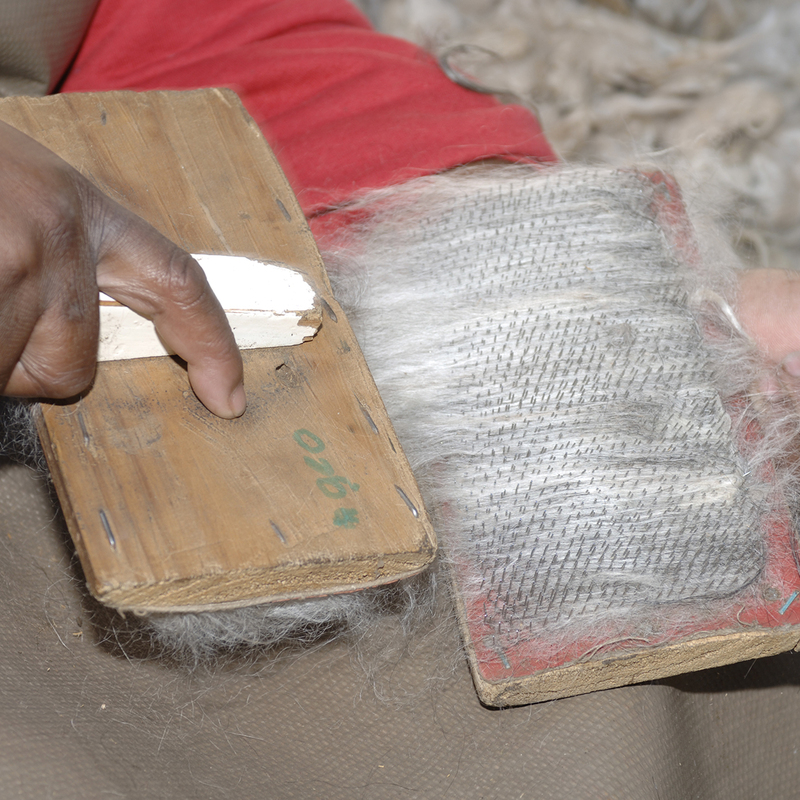 The mohair is sent in it’s raw state to Swaziland. 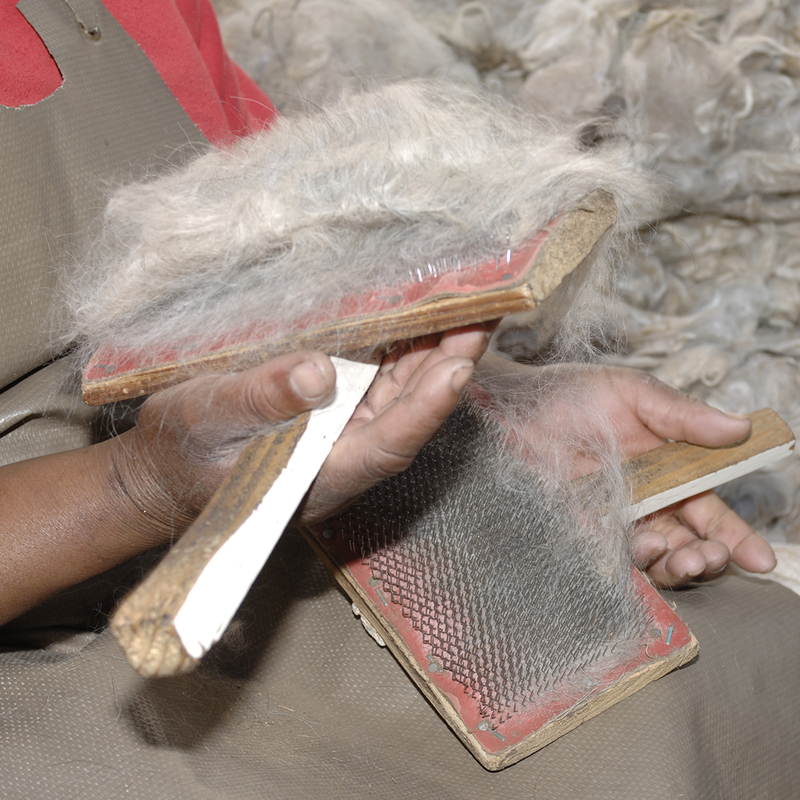 Once in Swaziland, the mohair is carded and made into curls. 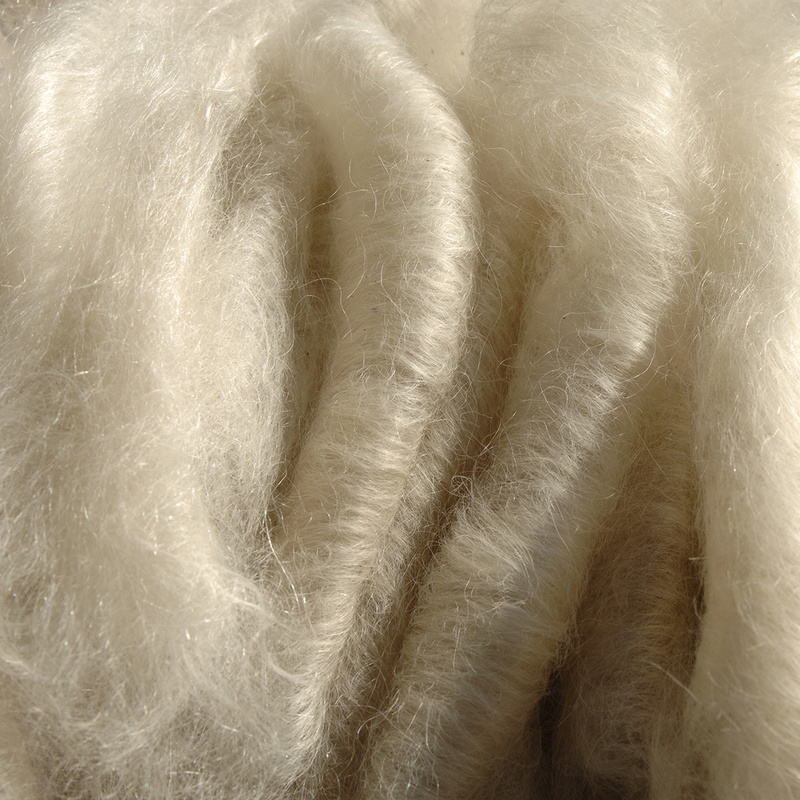 The finely-carded mohair curls are fed into the spinning wheels and spun into long threads of a required thickness. 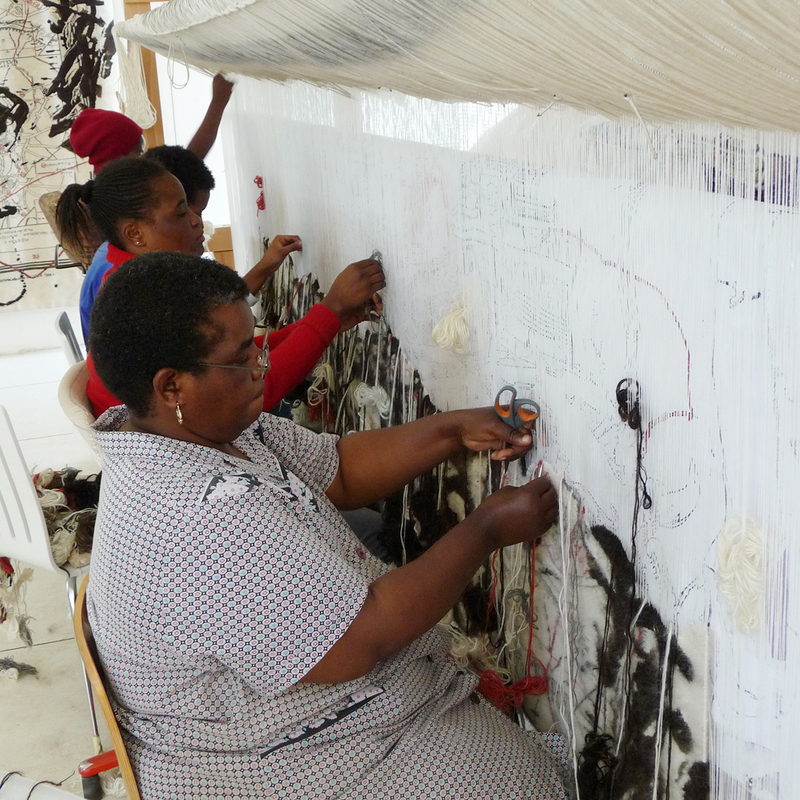 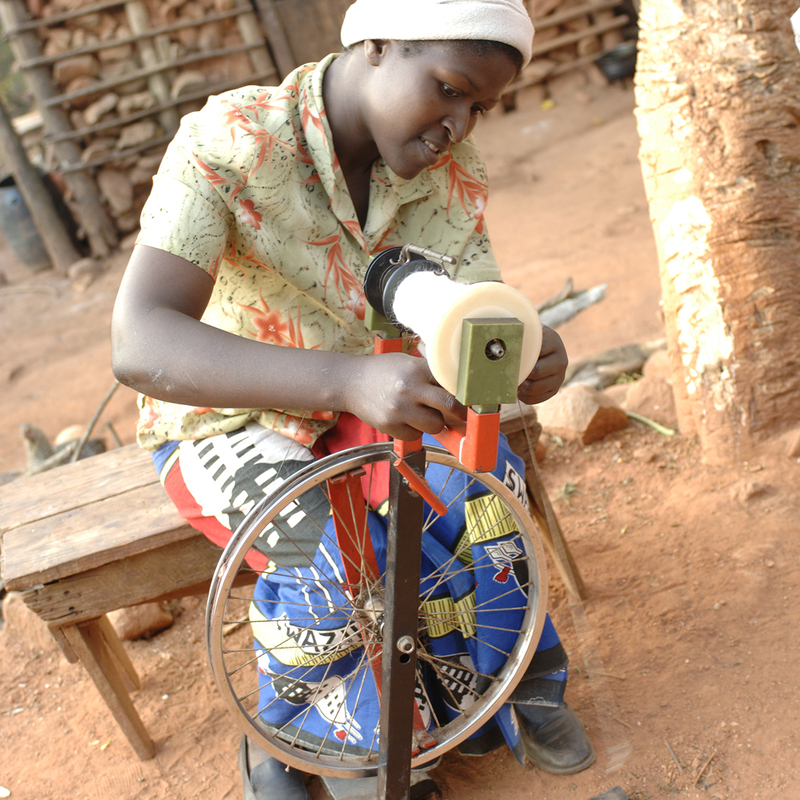 This is mostly done by women living in family homesteads in the mountains of rural Swaziland. 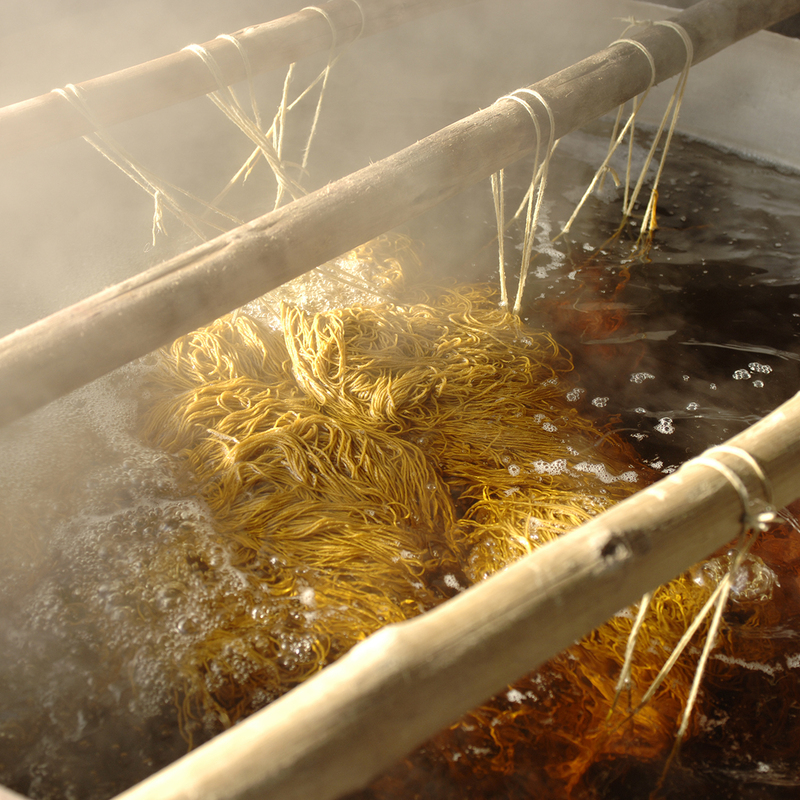 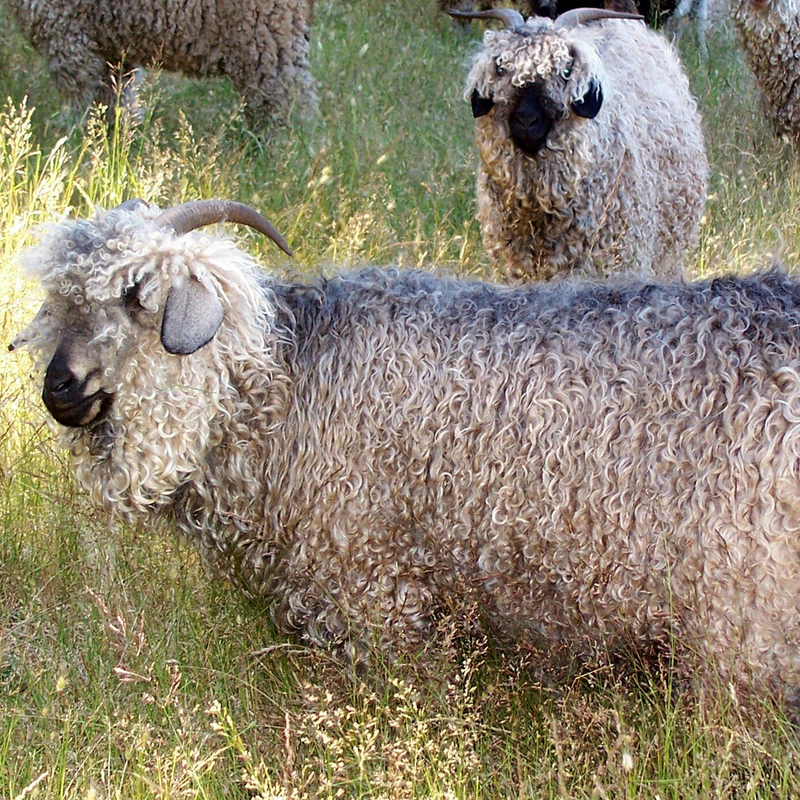 The spun mohair is dyed to the exact colours chosen for each tapestry. 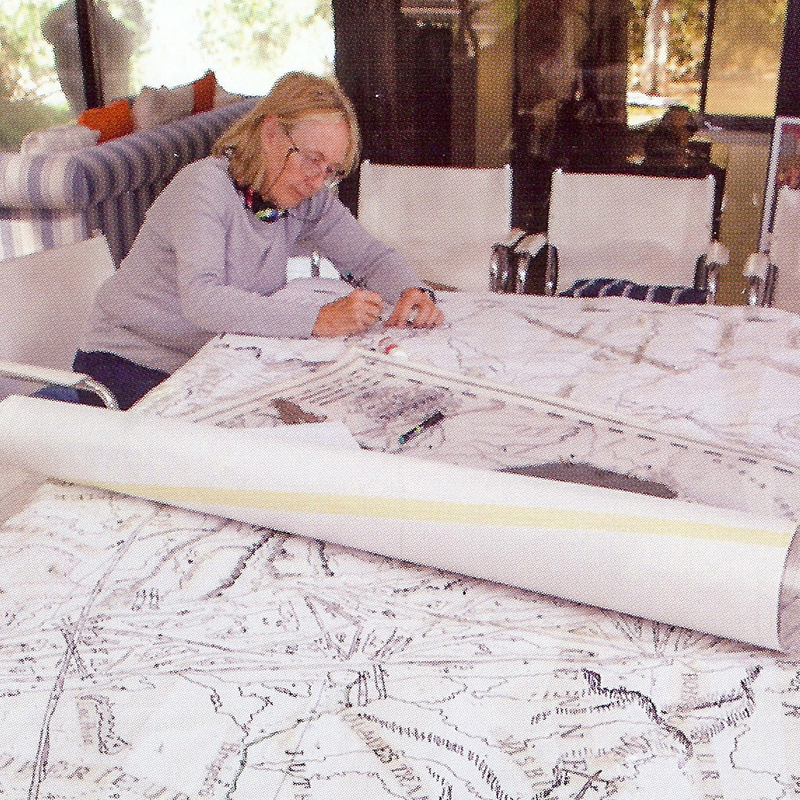 Once an artist has produced the original design it is photographed and enlarged. 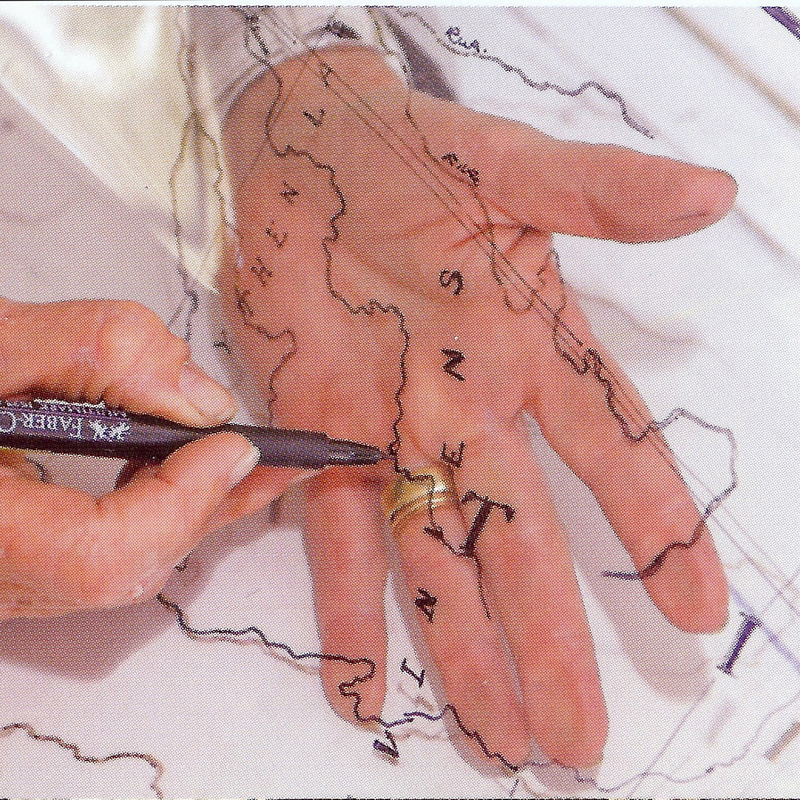 Acetate – a clear plastic – is then laid over the blown-up image so the shapes can be traced. 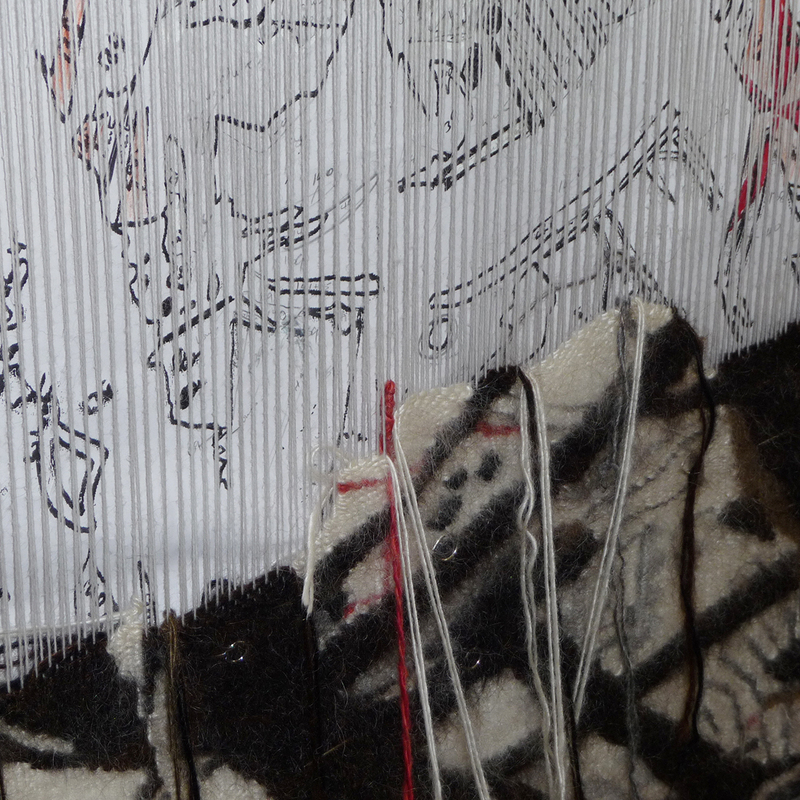 At this point parts of the original design are manipulated and adapted so that it can translate successfully into the amplified tapestry medium. 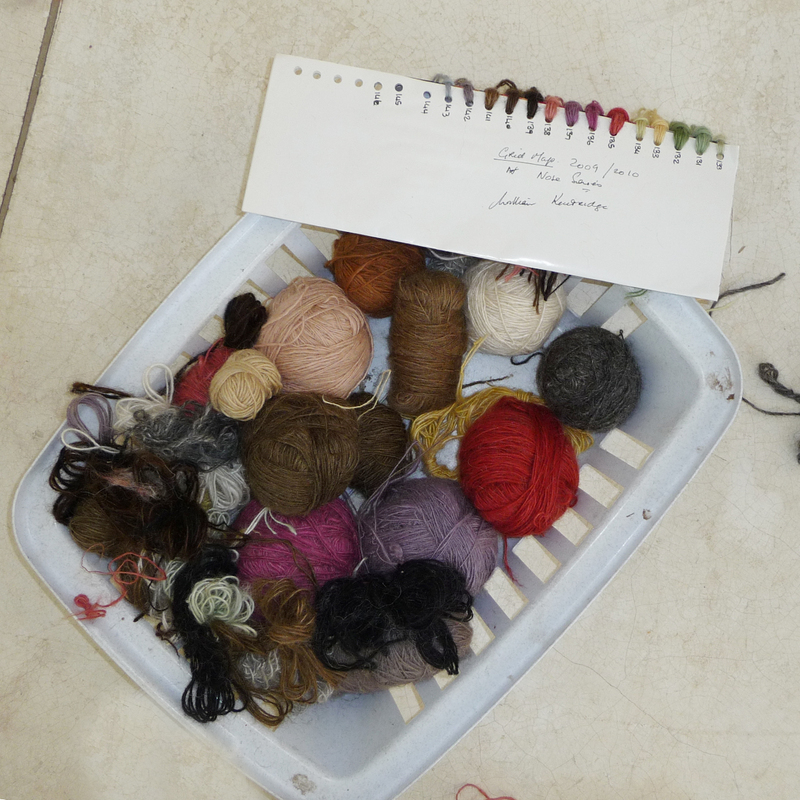 The colours that have been dyed for the design are collated onto a chart and each is assigned a number. 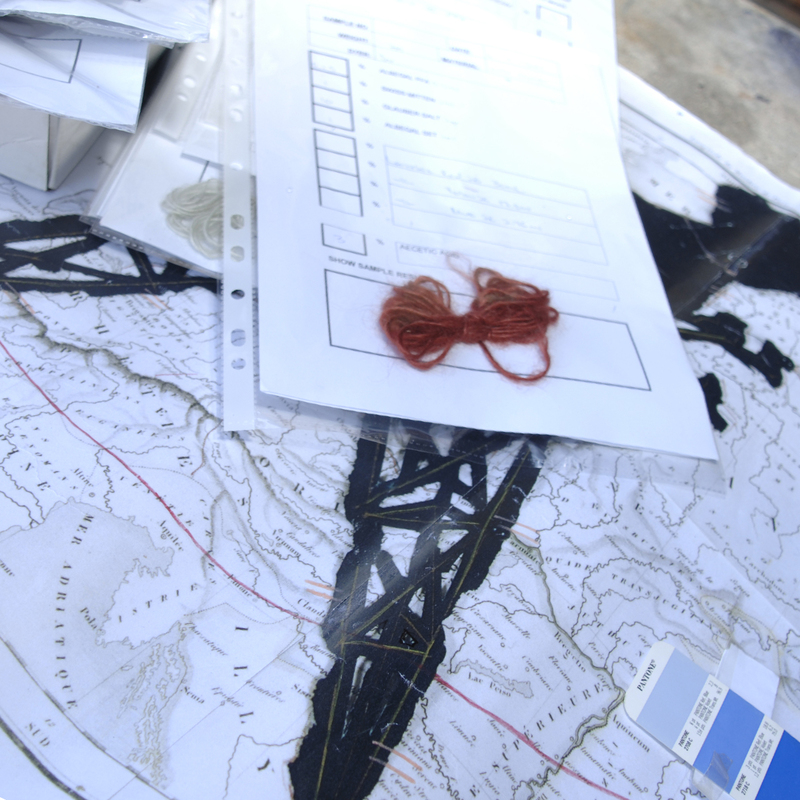 The corresponding number is then noted onto the traced cartoon. 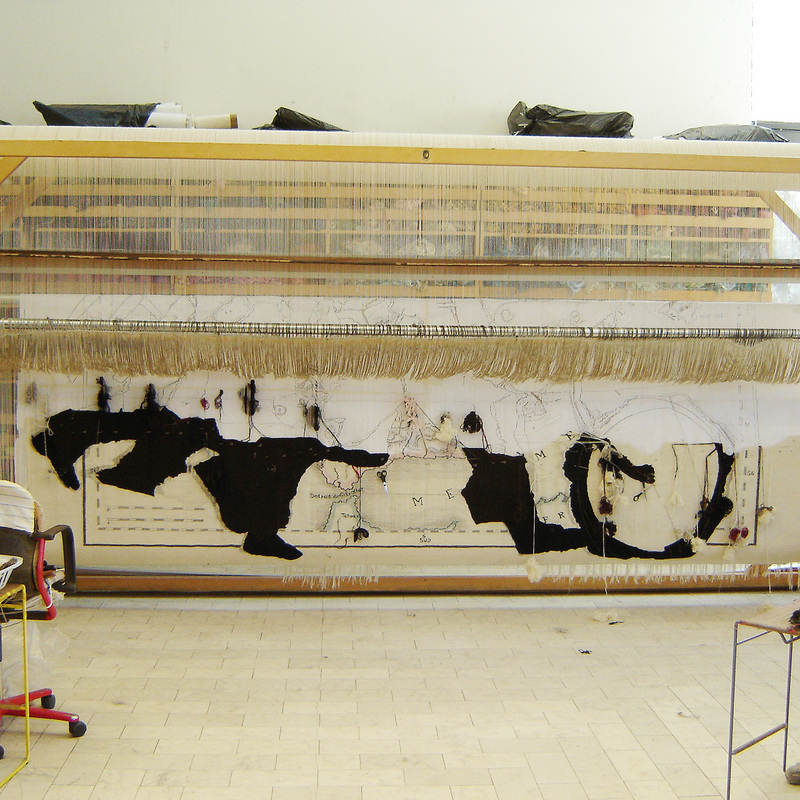 The cartoon of the artwork is then enlarged to the exact size of the tapestry and is then placed behind the vertical polycotton strings making up the warp. 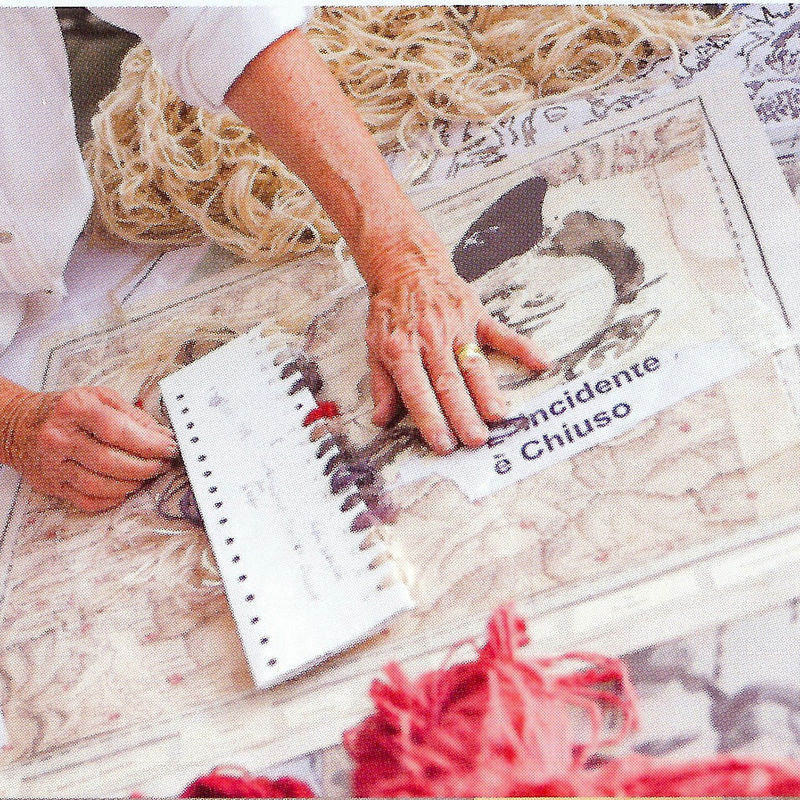 Teams of up to four highly trained weavers sit at each loom and weave the intricate shapes translating and amplifying the artist’s original design into tapestries that hang in museums and private collections around the world. 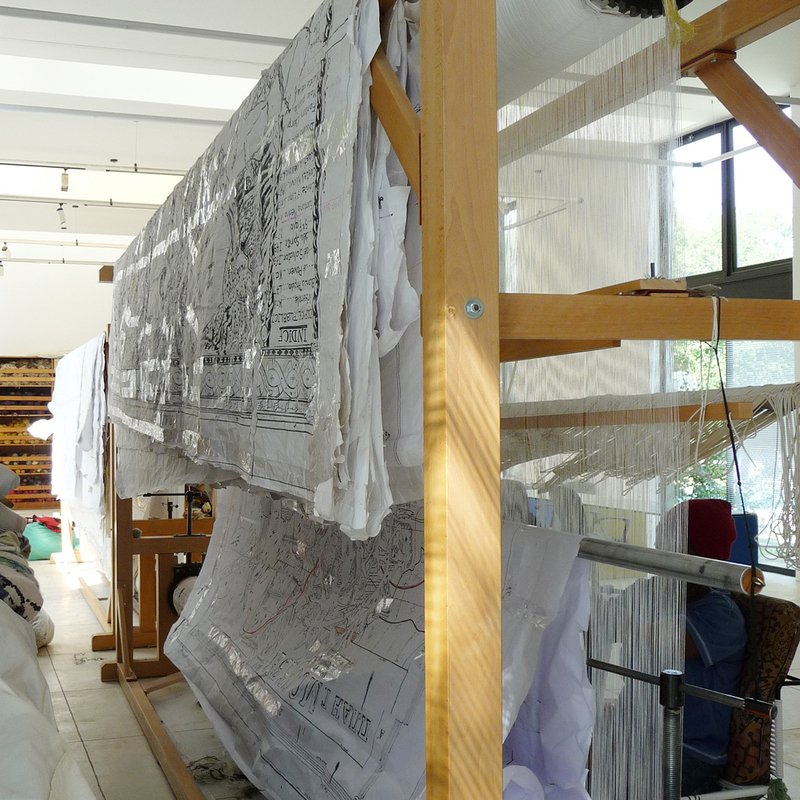 Depending on the size and intricacy of the work the weaving process can take up to six weeks. 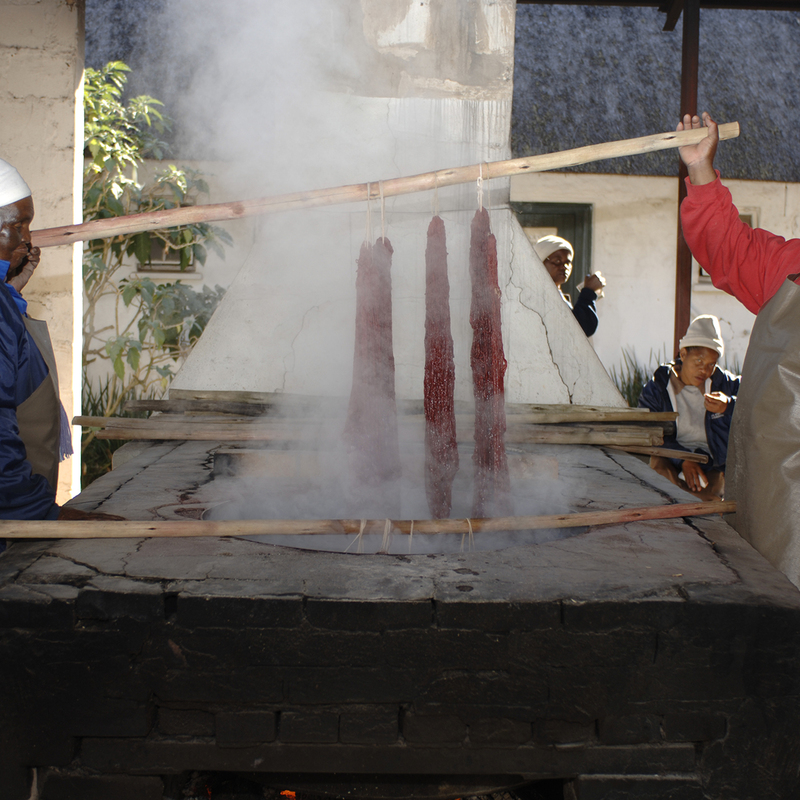 Edouardo Villa, Ruth Levy and Sydney Khumalo. 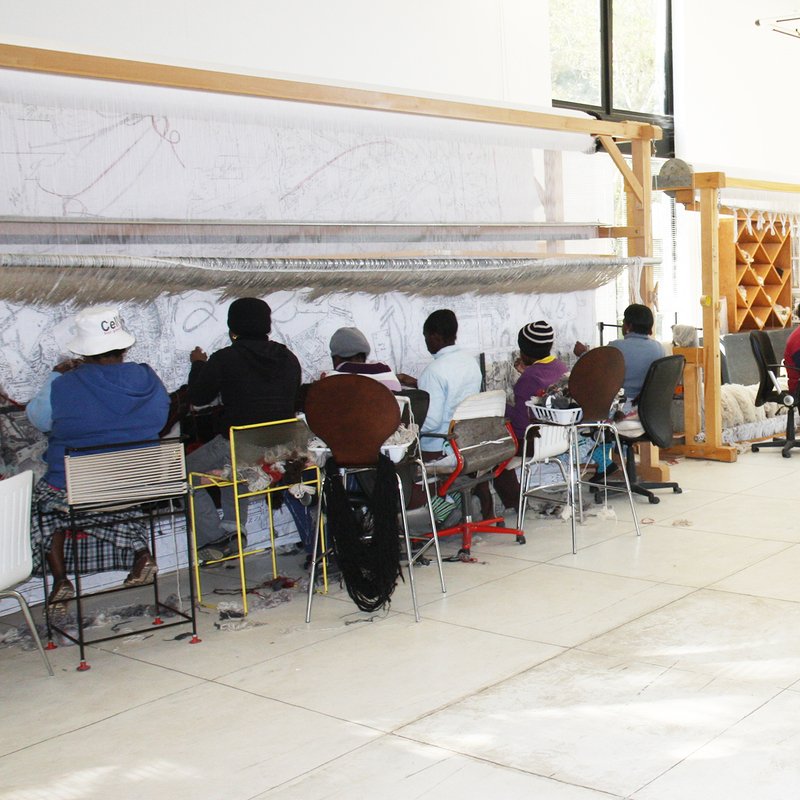 What is now the Stephens Tapestry Studio began as an experiment in the early 1960s in Piggs Peak in the north of Swaziland. 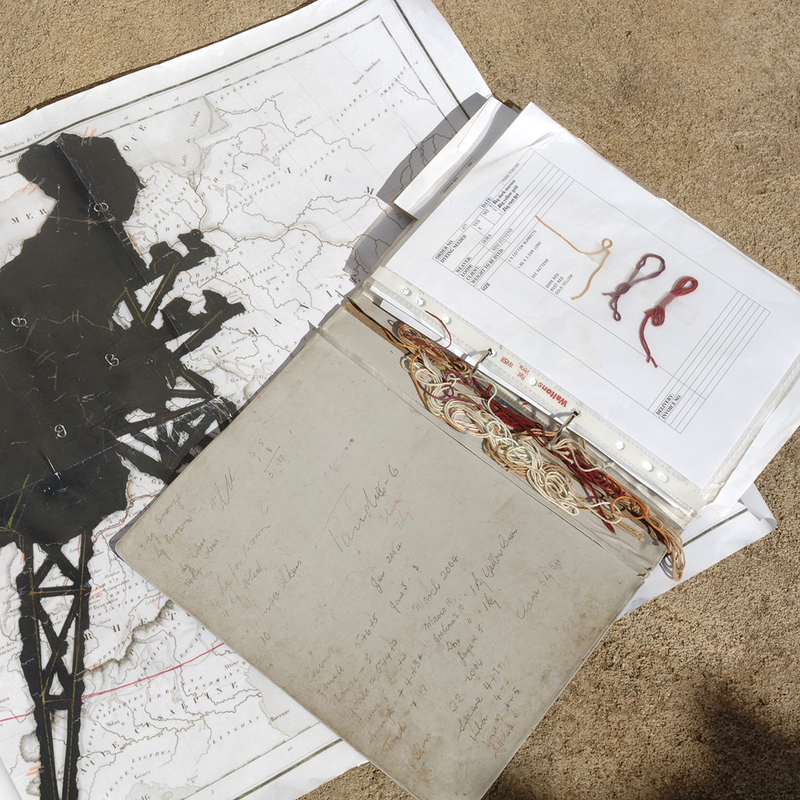 Marguerite – Mags – Stephens’ parents had 20 years previously moved to the remote mountainous area to kick off what is now part of a major forestry industry. 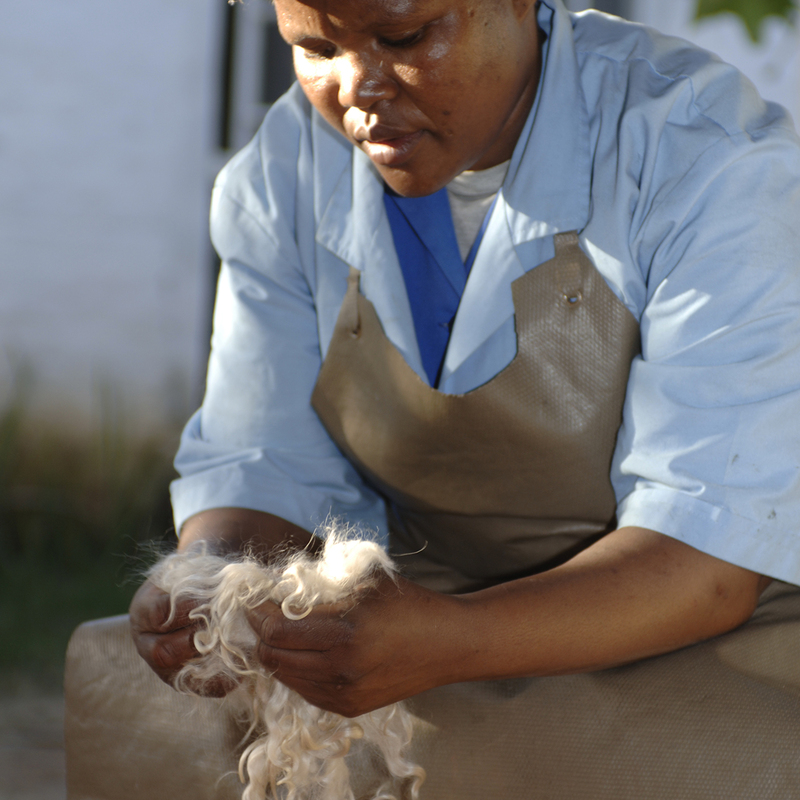 Her mother – Coral Stephens – started making curtains and carpets for their home simply because it was easier to make her own than try to get exactly what she wanted from Johannesburg. 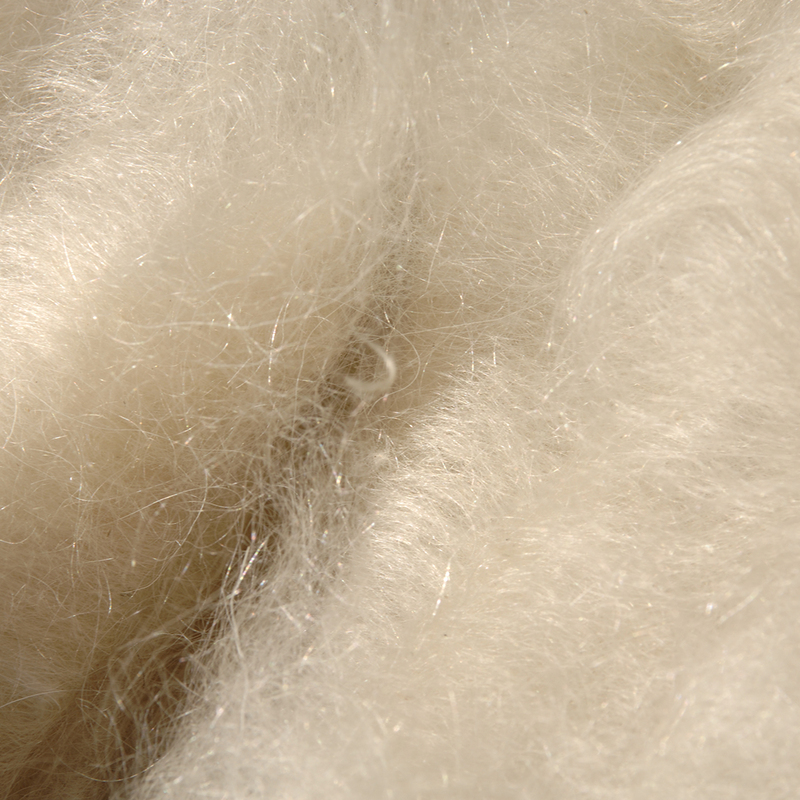 These luxurious mohair furnishings caught the eye of the family’s many guests and were soon being coveted around the world. 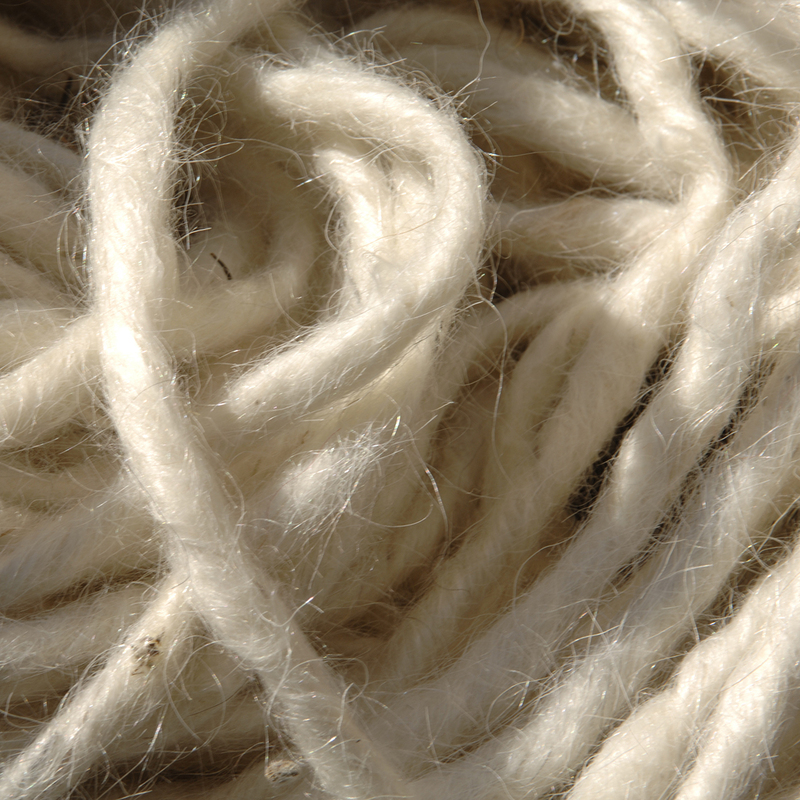 A thriving craft industry developed which still exists today. 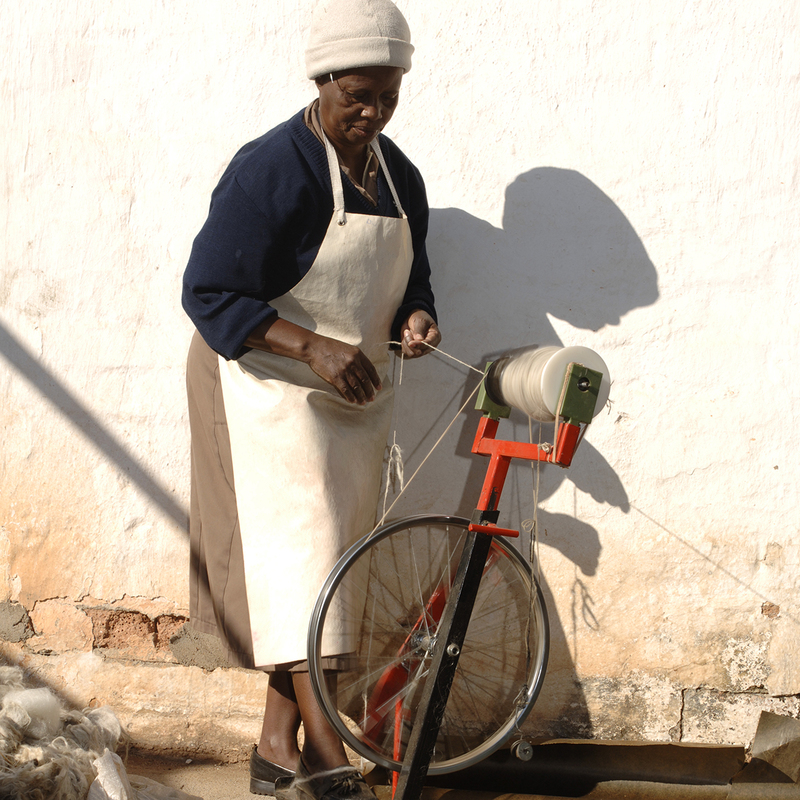 Having qualified as an occupational therapist, Mags had been taught to weave on basic looms as a craft she would be able to use with her patients. 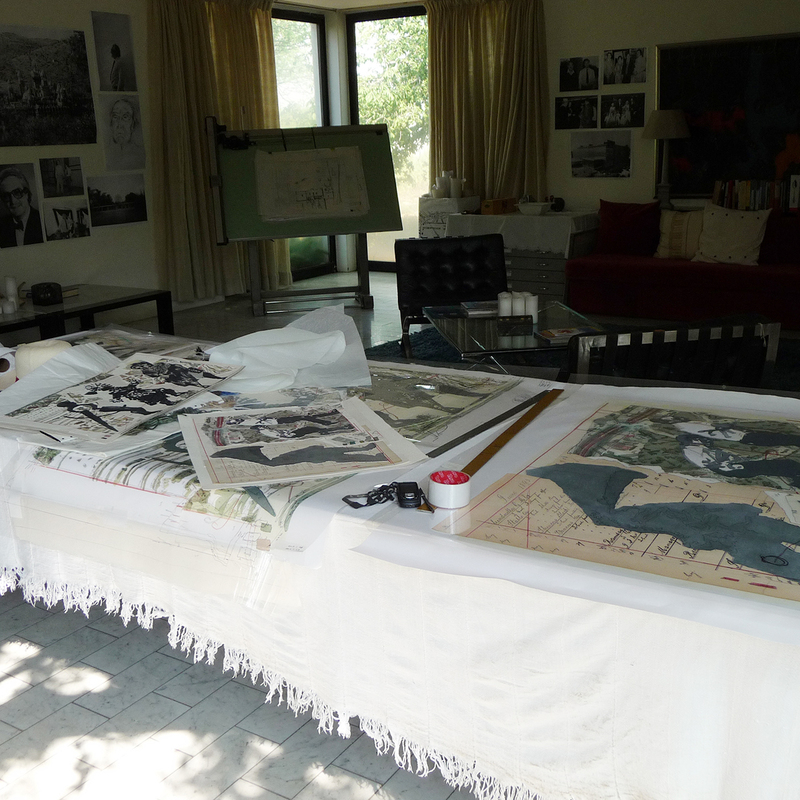 It was at an exhibition of South African artist Cecil Skotnes in 1962 that Coral suggested Mags use one of Skotnes’ woodcuts as a design for a tapestry. 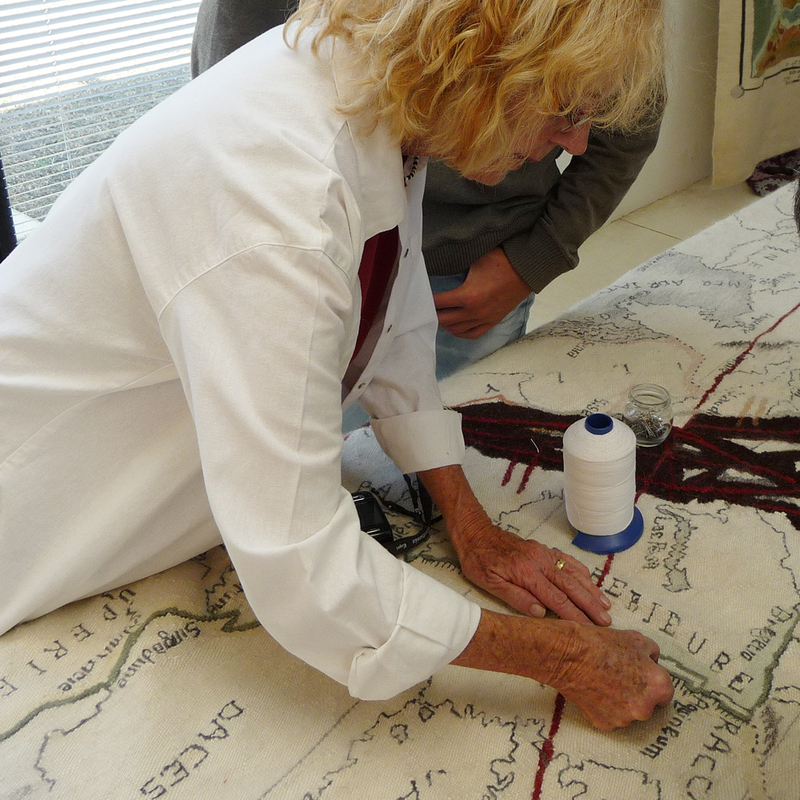 She put together a vertical loom in the French Gobelin style, and Mags’s first tapestry was soon woven. 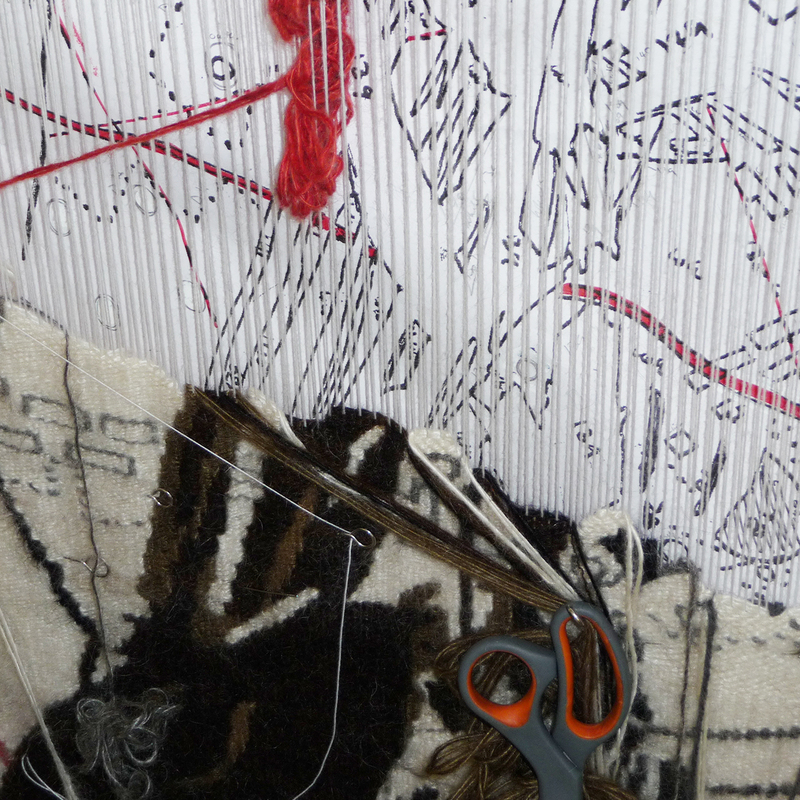 Soon designs from other artists were metamorphosed and amplified into tapestry. 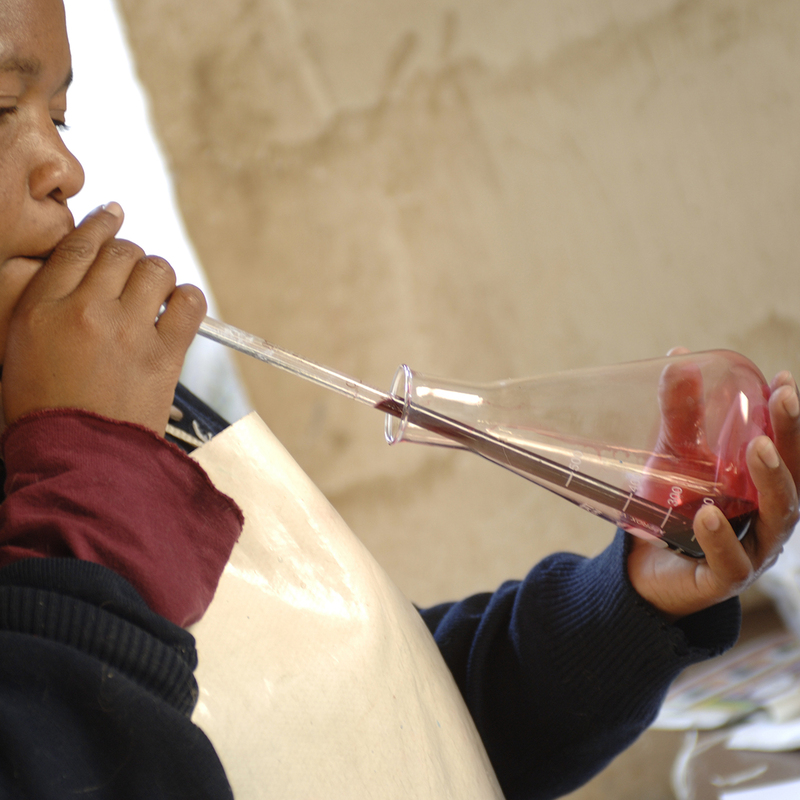 Some of the early pieces were by Cecily Sash, Edouardo Villa, Ruth Levy and Sydney Kumalo. 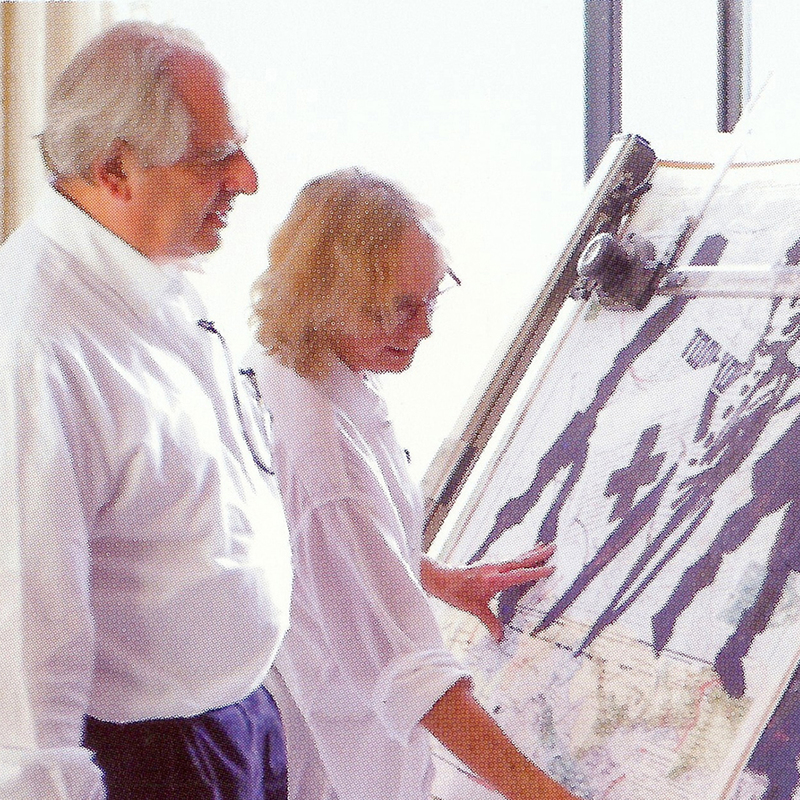 Some were sold through the Egon Guenther Gallery and others privately – and so began the Stephens Tapestry Studio. 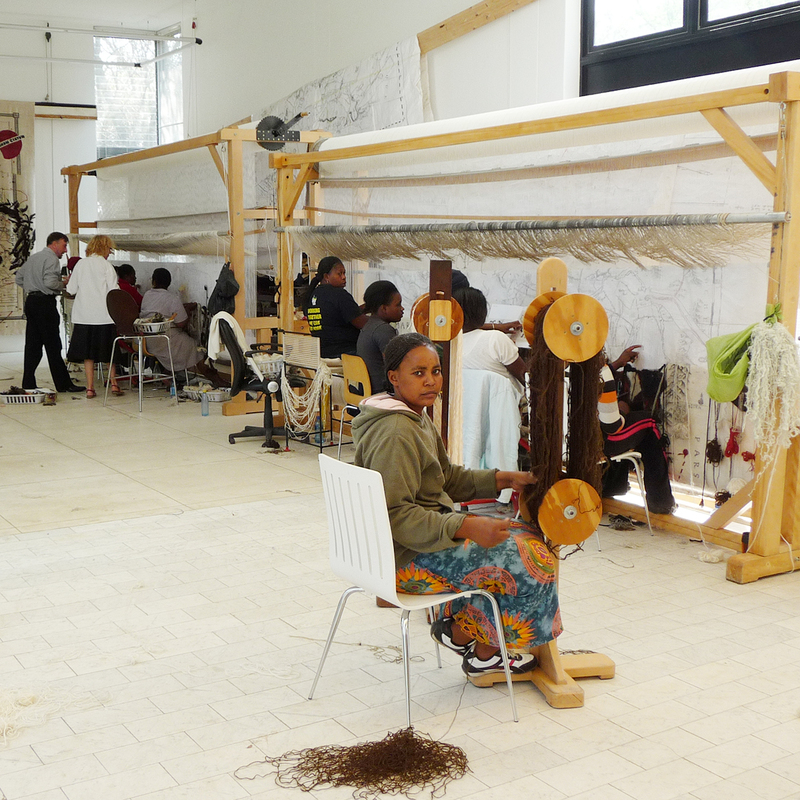 In 1964, Mags moved back to Johannesburg and got a wider loom. 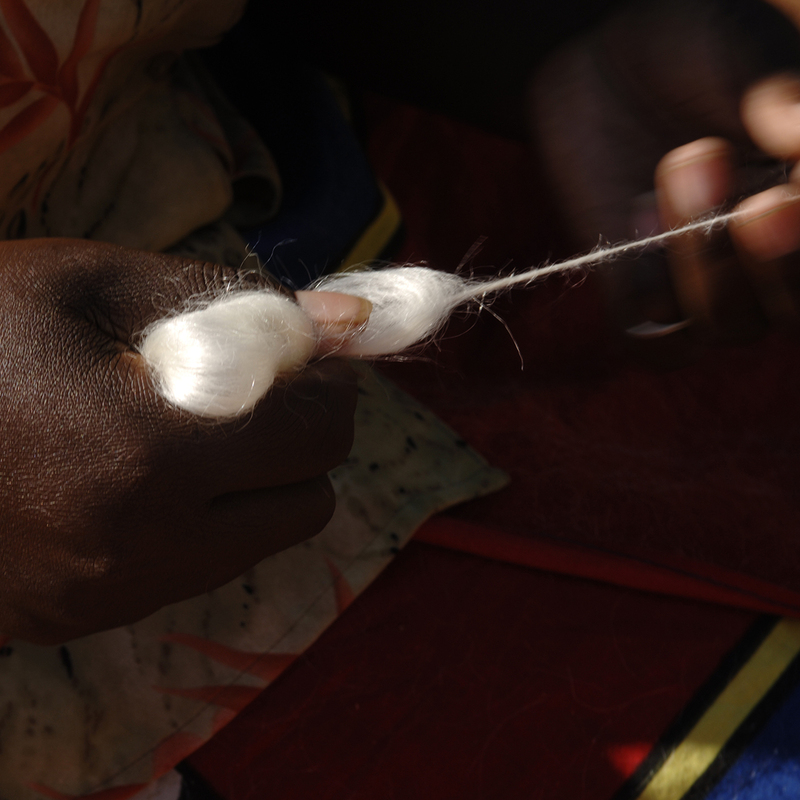 At this point, depending on orders and possible exhibitions, she was able to teach and employ staff to spin, dye and weave. 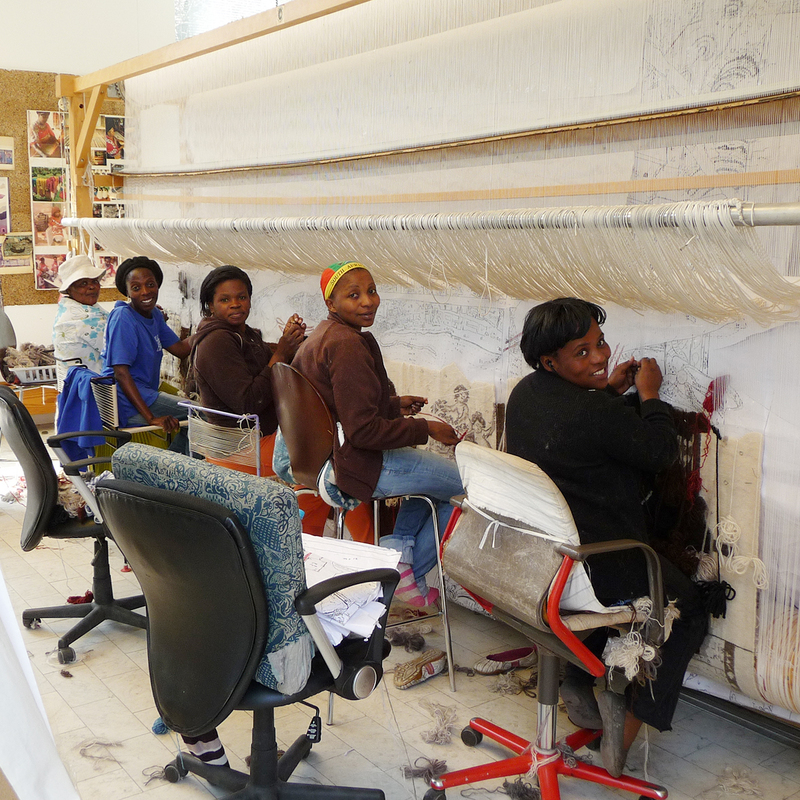 Fifty years later, the Johannesburg studio has three high-warp, 5m wide looms while the Swaziland operation has two. 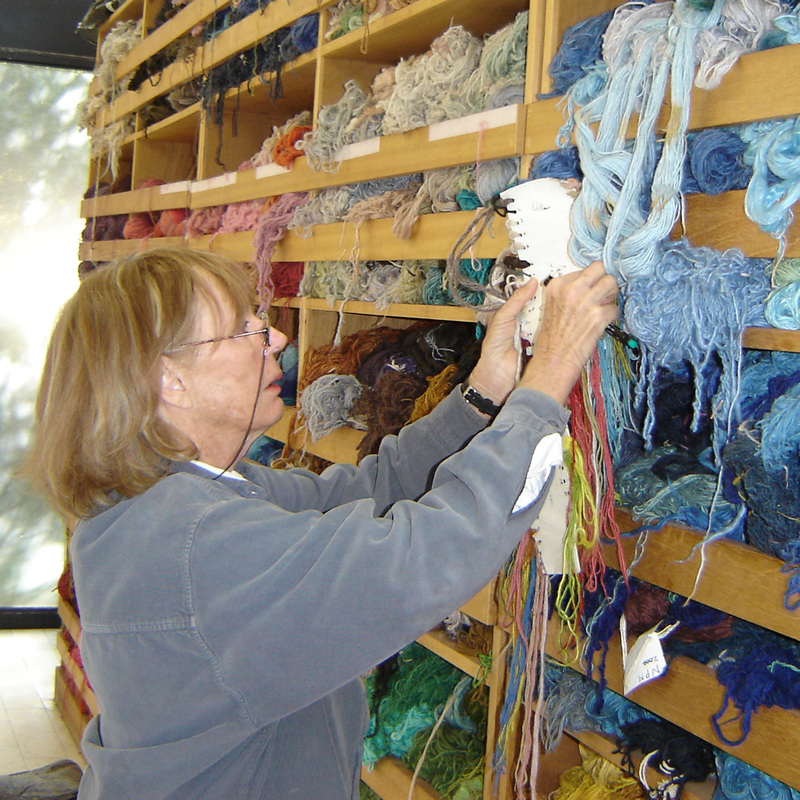 The two workshops employ between them 10 fully trained weavers, five bobbin winders, and two full-time stitchers. 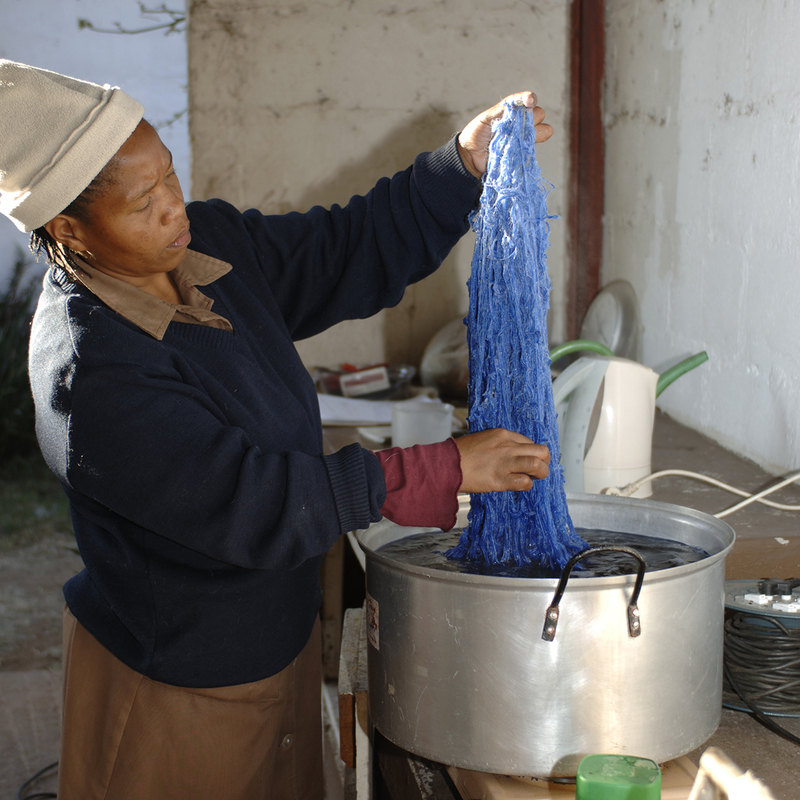 The Swaziland studio – at the original Coral Stephens workshop – also employs six carders and spinners, and three dyers.